opensource.com/Ruth Suehle: Ready to be an open source contributor but don't know where to start? "It was a little bit quiet about that topic last days, thats because I had a little bit other work to do. The only thing I did now for the installer is, to make deliberations which pages are needed and helpful in the slideshow. More I cant do at this time. A generally background is needed first. I did some wallpaper but I found no really idea, one of them looke like a commercial for lemonade, there was some the liked it but me self not." "Some days ago, I showed some of the wallpaper proposals they Ivan Cukic made for openSUSE 11.4. I think they are not the final version but we got good feedback for them and I think they will happen in 11.4. So I played a little bit with them how it could look in generally with the installer, splash and so on. I choosed the grey version because grey is neutral color. And when u come from splash to the windowmanager there changes not the green and it looks very different. So look and tell me what u think. And of course its not final and I have, to make some things better." "After long drives from Nuernberg, Prague and Darmstadt hitting every traffic jam on the A3 (the Czechs won the race), the openSUSE Boosters met up in the little rhenish town of Sankt Augustin near Bonn to attend FrOSCon. Last night we reacquainted ourselves with each other and the odd glass of Kölsch or two over steak and chips. Suitably fortified, we are now occupied our project room upstairs at FrOSCon (room C125) and are now hacking like crazy on our team project, a new site for openSUSE users and contributors. This is based on the Elgg free software social networking platform, so we’re dusting off our PHP and looking at all the integration points with the rest of the openSUSE platform: the Build Service, Bugzilla, the wiki, Lizards, and so on. So if you’re more of a web monkey than a distro gibbon and would like to help, drop by tomorrow or just get in touch with the ﻿﻿﻿﻿﻿﻿http://en.opensuse.org/openSUSE:Boosters_team." "One and a half year is now gone since I posted about my work for ARM support in the OBS and the work for a port of openSUSE to ARM. Lots of things had happened in the meantime that are related, from my limited view most notably Nokia and Intel joining Moblin and Maemo to MeeGo (MeeGo is currently working on a number of Atom and ARM based devices), chosing to use OBS as build system and last but not least myself joining The Linuxfoundation (you will be not surprised to hear that I work at LF on OBS). In the meantime there had also been a major new OBS release 1.8/2.0 with a bunch of new features." Repositories: 23791 (+569) by 24380 (+121) confirmed users. "It’s been a while without post, simply because I did not have any issues with my openSUSE or KDE that I could have written about. Meanwhile enough small things have accumulated. The openSUSE and thus KDE update from 11.2 with KDE from the KDE:Factory repo to 11.3 and its stock KDE packages went smoothly via zypper dup. The most annoying issues are that the not threadsafe dbus makes dolphin crash and thus look bad. Akonadi is crashing on logout sometimes, yet I could not get a backtrace yet because drkonqi is shut down while collecting it. And using desktop effects locks-up my Intel driven netbook from time to time because of buggy drivers/Xorg/Kernel (three more bugs: 1 – 2 – 3), i.e. not KDE. I wonder how often KDE gets blamed for bugs that are actually due to e.g. buggy graphics drivers or packages not part of KDE." "I guess that maybe some people were wondering how come that it was so silence around the Unstable repository for openSUSE. There are two reasons for it. First one is that I have been on holidays and I promised my family that I would stay away from a computer as much as possible. Secondly in August the KDE repositories were changes and optimized. This meant not only a new name and/or location, but also we had a good look at what was provided by each repo. For the KDE4:Unstable repo it was agreed that the new repo name would be KDE:Unstable:SC and that it should only provide the standard KDE:SC packages with the build-required libraries. This means that application like Amarok, choqok, konversation, etc are no longer provided through this KDE:Unstable:SC repository. SVN snapshot versions of these applications can be found in the new playground (KDE:Unstable:Playground) repo or released version can be retrieved directly from either the openSUSE:Factory repository or in case of an older distribution from the KDE:UpdatedApps repository." "Distributions such as RHEL (and any of its blood line) always leave a file /root/anaconda-ks.cfg which can be used to repeat the installation via their anaconda/kickstart process. The parallel to this with openSUSE is YaST2 and AutoYaST. The feature request is asking that at the end of every installation in the home directory of the root user the necessary file or files are created to allow the user to repeat the installation with the same options. (...)"
"GIMP and Inkscape need better integration into KDE, namely its "Open file" dialogue is stuck in GNOME look. Firefox and OpenOffice have their own wrappers, which integrate their corresponding action into KDE. GIMP and Inkscape are programs which would benefit greatly from native KDE image thumbnails." "Since opensolaris "died" I'm looking for a platform perfectly suitable for java development. I'd need the last versions of netbeans, mysql + workbench, mercurial + android + open jdk + ORACLE JDK. All of these components can be installed separately, but I'd like a distribution "one click developer". Possibly with self - update of the last issues." "on during the installation process on step "create new user" is doing "Automatic Login" per default on. Even its a laptop and the laptop pattern is choosed from yast automaticly. it would be a little bit more secure for new user who not know what that means to make that not as default." 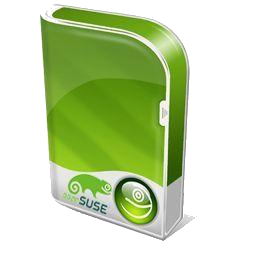 "In openSUSE 10.3, there were CD's that you could use to install openSUSE KDE or GNOME alone. I think it would be great to create individual DVDs for each Deskltop Environment, in addition to the current media, so you can install GNOME and loads of software with it. A KDE user could have 4.7 GB of KDE software that they would use, rather than XFCE, GNOME, and LXDE software they wouldn't use. Same for GNOME users. I would imagine that they had to drop some packes from the distribution to make room for LXDE in 11.3 and KDE 3 in 11.1 and 11.0. This would make installing software convenient for computers without an internet connection." "A "Light CD" of openSUSE would be excellent for older computers. It would be a CD with LXDE, OpenOffice, the SUSE Base system, Test-Install YaST, and some basic tools. With this CD, older computers would be able to run openSUSE at a reasonable speed, have YaST and openSUSE community support\updates, legacy drivers, and some basic tools. With this CD edition avalible for download, you could have openSUSE on every old computer." "Python 3.0 was released nearly 2 years ago now and has been included in the last two releases of openSUSE. Currently in openSUSE we have a python package which installs Python 2.6 and a python3 package which installs Python 3.1. (...)"
"Ubuntu 9.10 had one great new feature in it: the Ubuntu Software Center. It's radically dumped down, clean and uncluttered version of Synaptic. See https://wiki.ubuntu.com/SoftwareCenter for throughout description. It is not intended to replace Synaptic, but to make installing software more accessible. This is definitely something openSUSE needs. YaST is even more powerful than Synaptic, but it's also more cluttered (at least in KDE). Thus, the demand for clearly presented centralized software installation and removal is also larger. I'm proposing, that we bluntly copy Ubuntu Software Center principles and create a native Qt interface for KDE. (...)"
"With the possibility of Grub2 being implemented soon as a default boot manager, it would be useful to add to the Grub2 packaging a small script that fully emulates the older grubonce that is provided with openSUSE-11.3 and earlier. (...)"
"is necessary that a file system to have a defragmenter, even e4defrag is not finished yet. is a kernel patch which do not affect the users who do not want use it. fedora has it and it is the time to have it opensuse too." "The August 2010 Salt Lake Linux Users Group meeting will be on Research, Writing, Typography, and Design using Linux and presented by Rob Oaks. A big picture introduction to research, writing, typography, and design using Linux. Why open source options are the best available and you really should be using them. Technologies Covered: Zotero, BibTeX, LaTeX, LyX, DocBook, Inkscape, Scribus." "The other day I met afiestas in the tram. He had a KDE sticker on his laptop and I thought perhaps this guy is interested in the KDE bug squashing party we have organized… I talked to him about it and he told me that he was a KDE developer. Quite a surprise! So we’re going to celebrate the release of KDE SC 4.5.0 at Sigland (San Bernardo 118) next Saturday (21st) at 14:00. :D"
"I hope it's not late to tell you about it, I'd like to comment you about openSUSE Launch Party we made here in Lima, Peru. As it was announced, it took part on Beeznest Latino offices and we could meet some people interested on the openSUSE Project. We could also spread the word about the openSUSE distribution, as a replacement for closed source OS's and other known Linux distros. Here in my country, openSUSE isn't well known yet, so we're making the necessary to change this." The mail lists have: 37682 (-13) subscribers. 4929 (+32) of 12510 (+58) registered contributors in the User Directory have signed the Guiding Principles. The board has acknowledged 431 (+0) members. Rares Aioanai gives a new Issue about his Kernel Insights. 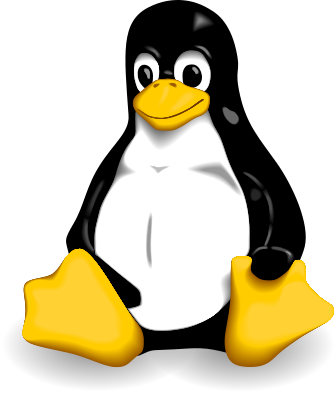 "A highly dangerous privilege escalation vulnerability, which can allow an attacker to execute arbitrary code as root from any GUI application, has been patched in the Linux kernel. (...)"
"Say you just bought an Amazon Kindle or a Barnes and Noble Nook. You want to convert your eBook collection to .EPUB or .MOBI format. For this, install Calibre. The application not only provides you with a graphical way to manage your eBook collection, but also comes with a set of useful command-line tools. One of these is ebook-convert. (...)"
"When you buy an ebook using your Kindle, there’s a 99% chance it’s a DRM file. That means you won’t be able to read it anywhere else but on your Kindle. And we won’t accept that. To be able to convert that file and remove its DRM protection, you need a set of Python scripts called MobiDeDRM. (...)"
"Question: I would like to add more swap space to my Linux system. Can you explain with clear examples on how to increase the swap space? Answer: You can either use a dedicated hard drive partition to add new swap space, or create a swap file on an existing filesystem and use it as swap space." "While I'm in the mood for posting solutions to technical problems, here's another. I have a OBD interface cable for my VW Bora so that I can run a piece of software called VCDS (sometimes known as VAG-COM) and read the error codes from my car's ECU. However, when I plug in the cable (it's the USB version), it is usually assigned to COM7. Unfortunately, the VCDS programme only supports COM1-4." "I just installed openSUSE 11.3 on my desktop computer, and I have to say it's pretty much awesome. Almost everything has worked straight out of the box, including my Wacom graphics tablet and my wireless card. One thing that's been annoying me is that whenever I make a mistake (such as trying to delete some text that isn't there), my computer makes the most almighty buzz. Or maybe it could be described as a belch. It's pretty horrible, however you describe it, and makes me jump out of my skin every time. I think it's supposed to be the System Bell." "What Copyrights: By now so many, apparently well informed, commentators have noticed and written off the Oracle Java Copyright claims as applying to the open-source implementation, documentation etc. That of course seems weak: how likely is it that Google would have cut/pasted code or documentation into their Davlik implementation, given the intense scrutiny they knew would come eventually. Page 2, Clause 11 of the complaint gives some background: ..."
Vincent Untz: Want to join Novell? "I've been at Novell for two years and a half now, and it's been an interesting ride. I must say I've had two amazing bosses who understand the way I work and who have been really supportive, so that definitely helps! I don't know if Klaas will stand me much longer, though ;-) In addition to that, being part of the Boosters is a good way to be with people as crazy as I am, working on weird stuff like me. Of course, it has been hard to see good people leave the company in the past few months — they are generally still involved upstream, though, so that's positive :-) But recently, we've been joined by two friends: Frédéric, who's working on SUSE Meego, and Jos, the new openSUSE community manager. And guess what? We expect more! Because we're still hiring: ..."
"First of all, thanks for the great welcome to the community! I've received many constructive and nice comments which made me very happy. I really look forward to working with you all over the next months/years/centuries/eons/etc. As I don't yet have much insight in our community, I am spending the first month on getting to know you all, getting input on what is needed, what is going on etcetera. Besides of course reading up on mail, following discussions on IRC and playing with openSUSE myself I went to the Novell headquarters for a week and spoke with my colleagues there. It was an interesting week - Novell has a deep commitment to openSUSE but there is still a lot to learn from both sides. I hope to be able to bring the parts of Novell which work on and with openSUSE technology a bit closer to the community and will start with the marketing. The marketing team at Novell has a lot of experience talking to corporate partners and I hope we can use their experience for openSUSE. The other way around I think we can help them a lot in spreading the word about the work Novell is doing in the free software area." * changed 'osc repos' to filter out disabled repos of a package"
"I'm travelling this weekend, which means I inevitably will end up putting my laptop's battery through its paces. Every so often when I travel, I try to find more and more ways to squeeze more minutes out of my ThinkPad. My favorite way to extend battery life is to kill services that I either don't need, or are more bloated than my needs, such as the infamous NetworkManager stack." "I have made a feature release of ruby-dbus, a Ruby language binding for the D-Bus IPC system. * TCP transport which pangdudu coded a year ago. At that time I did not feel familiar enough with the library, and the test suite was much smaller too, so that's why it took me so long. * RPMs can be found via openSUSE Build Service Search"
"On the website of an Austrian (no kangaroos!) newspaper, I read an interview with Canonical’s Jono Bacon. In this interview, Jono talks about the process of developing central components of the desktop inside Canonical. The process is basically that Canonical’s design department, Ayatana develops components. When they are finished, they’re offered for inclusion into GNOME, which was not a successful in all cases yet. According to Jono this is "working upstream", explaining that in this context Ayatana is the upstream. GNOME is seen as a provider of components, building blocks for Ubuntu’s user experience. The definition Jono handles of upstream development is quite different from how it works for me. I can speak of personal and professional experience in this context, as I have been working quite a lot on central components of the Plasma Desktop (and Netbook as well). I have done this work both, as a voluntary contributor in my Free time (pun intended), and continue to do so in my working hours for open-slx. open-slx happens to sell and supports Linux deskop operating systems." "Nothing unusual here I guess. Though there are some interesting comments here which may be useful to some who have asked similar questions." Support for M$ Exchange in 11.3? "This may provide some useful information for those working between openSUSE and Microsoft. Check it out, it may prove helpful." How to Downgrade KDE from 4.5 to 4.4? "Some users have experienced some problems with KDE4.5 and rolling back to 4.4.4 seems to be a solution. One of the issues is Desktop Freezing." One for the bookmarks I think." Joe Brockmeier: Spread the word: Ohio LinuxFest registration is open! "Things are spinning up for Ohio LinuxFest — we’re less than a month out, so now is the time for everyone planning on attending the big ‘fest to sign up and start making your plans to attend. Even if you’re not going to be there (why not?) please help spread the word! Follow @ohiolinux on Twitter for updates. See you in Columbus!" "My last article I spoke about the new KDE Activities features Search and Launch Containment Activity (see my article “Using the KDE 4.5 Search and Launch Containment Activity“). This is the first visible sign of KDE’s use of the Nepomuk Semantic Desktop. Nepomuk is a system that uses metadata throughout the desktop to aid in file search and peer to peer collaboration. So far the project has yet to reach its full potential (as it is quite new to the desktop)." "In the 1990's Novell's NetWare dominated the networking industry with over 70% of the global market share. Their technical certifications were the industry's gold standard and offered titles such as Certified Novell Engineer, Master Certified Novell Engineer, Certified Novell Directory Engineer, and Novell Administrator. Just ten years later, the networking giant of the 20th century would find itself in a struggle to maintain relevance in the new millennium. The solution came as a change in strategy that would shift the company's focus from networking technologies to low level software and a new venture into an open sourced operating system of their own. (...)"
"In early 2009, as the stories of many websites begin, a few college friends were considering what kind of project they might start together. In this particular case, the result was OpenHatch. (...)"
"According to a report written by Rafal Wojtczuk, a conceptual problem in the memory management area of Linux allows local attackers to execute code at root level. The Linux issue is caused by potential overlaps between the memory areas of the stack and shared memory segments." Update - As Marcus Meissner from the SUSE security team explained to heise Security, SUSE maintainer Andrea Arcangeli provided for the problem in September 2004, but for unknown reasons this fix was not included in the Linux kernel. SUSE itself  and SUSE Linux Enterprise 9, 10 and 11 as well as openSUSE 11.1 through 11.3 do not exhibit this vulnerability." "Adobe has released Security Bulletin APSB10-17, which describes multiple vulnerabilities affecting Adobe Reader and Acrobat." This page was last modified on 25 August 2010, at 13:09.